A Tesla coil is a type of transformer used to produce low current, high voltage or high alternating current electric energy. The transformer provides high voltage power supply to charge the capacitors, which in turn store electric energy to be transferred to the primary coils and to the secondary coils. To charge your batteries, you can substitute rechargeable batteries for capacitors since they can be used to serve the same purpose. Set up your step up transformer to the left corner of your plywood. Score marks into the plywood through the holes at the transformer. Drill holes into your plywood and use them to screw the transformer to the plywood. 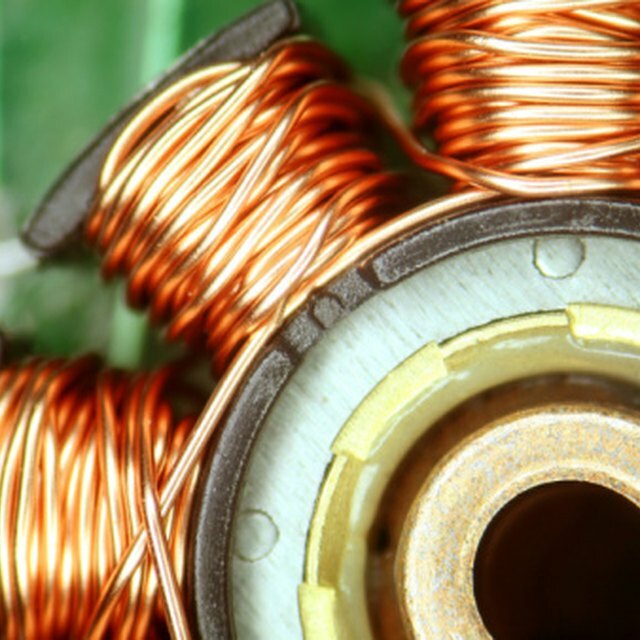 Create the primary coil. Wind up the copper tubing to make a flat spiral. Leave a straight length of 6 inches after you finish the final outside turn. Check that the inside diameter is 6 inches while the space separating the turns is 1/4 inch. Install your primary coil at the right corner of your plywood. Ensure that the straight length runs along the edge and points towards your step up transformer. Drill a hole using a 1/4-inch drill bit into the plywood next to the end of the tube at the inside end of your coil. Pass the end of the tube through the hole. Create the secondary coil. Measure 1 inch from one end of your mailing tube and poke a hole into it. Pass the end of the magnet wire through the hole. Leave a length of 6 inches loose. Wind 1,000 feet of wire onto the mailing tube. Make another hole near its end and pass the end of the wire through it. Drill a hole in the center of your primary coil using a 1/16-inch drill bit. Position your secondary coil through the hole and secure it into place with glue. Set the top electrode over the secondary coil and connect it to the coil wire. Install the automotive batteries to the battery holder. Set the holder next to your plywood. Install the spark gap. Hammer one end of your copper pipe shut. Position the two lengths of the pipe on pieces of lumber. Screw them down with fasteners. Attach the lumber to your plywood at the bottom right corner. Loosen the tightened copper pipe fasteners and turn the pipes to create a gap of about 1/4 inch. Wire up your apparatus. Bend the number 10 wire into shape and then solder it into position to connect. Connect the transformer’s ground wire to the coil wire under your plywood. Connect one end of the transformer high voltage winding to the copper tubing’s straight length over your plywood. Connect the copper tubing to the spark plug. Connect the remaining end of the transformer's high voltage winding to one end of your battery holder and ultimately to the spark plug. Connect the other side of your battery holder to the end of the copper tubing. This will ensure you complete setting up a Tesla coil and batteries to it. Plug the low voltage winding of your step up transformer into a power outlet and switch on power. Bigge, Richard. "How to Charge Batteries With a Tesla Coil." Sciencing, https://sciencing.com/how-12187599-charge-batteries-tesla-coil.html. 09 January 2018.